Think you know your international politics? Maybe you’re more familiar with those topics that were once taught to you in school, like the First and Second World Wars, or more recently, the US Presidential elections. 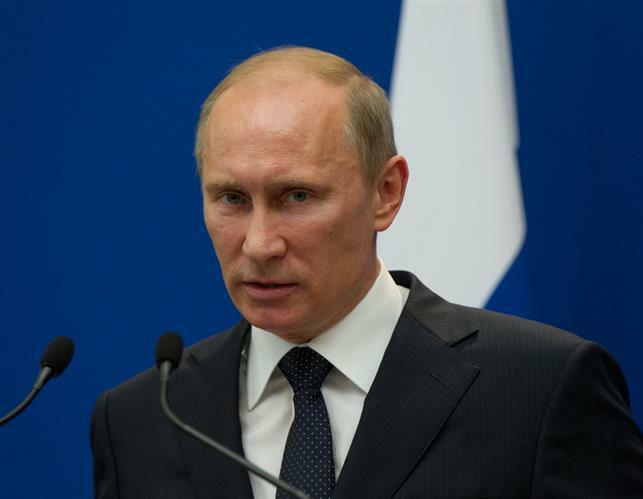 Today, one of the most prominent political figures in the world has to be Vladimir Putin. The President of Russia, now in his third term, a man who was responsible for bringing his country out of severe economic depression and making it a substantial player on the world political stage. Vladimir Vladimirovich Putin was born on October 7, 1952 in a communal apartment block in what is now St. Petersburg. The Putins stayed on the fifth floor of the complex. Before Vladimir’s birth, the death of his two elder brothers, one still in infancy and the other due to diphtheria caused his mother a lot of heartache. Once upon a time, Vladimir Putin was actually married. He and Lyudmila Putina tied the knot in 1983 and were together for over 30 years. They divorced back in 2014. They have two daughters together, Maria Putin and Katerina Tikhonova, an acrobatic dancer. Putin was named TIME Person of the Year. His mugshot was on the cover of the magazine, shot by renowned photographer Platon. That image of Putin went on to win the World Press Photo of 2008. Legend has it that the Platon was so enamoured by Putin, that he spent over $2000 calling up his acquaintances and boasting about his experience! At the age of 11, a young Vladimir Putin began training in judo, much to his mother’s chagrin. He went on to earn his eight black belt in 2014. Putin is actually an avid animal lover. He held a nation-wide competition to name one of his dogs, and settled on Buffy. His Akita Inu he named Yume. His admirers have gifted him a number of animals, including a Siberian tiger, a dwarf horse and a goat. The Russian President is one for adventure sports. While he is not ruling the country, he is out in the wilderness swimming, riding horses, hiking and keeping himself fit in nature. Putin was once a part of the KGB, the Russian Secret Service. He even rose to the rank of Lieutenant Colonel. His paternal grandfather, Spiridon Putin, once worked as a chef in the house of Lenin, and even in the house of Stalin. He was also a great influence in Putin’s life. Apart from being fluent in Russian (obviously), he is also well versed with German. When Germany’s Chancellor Angela Merkel visited his country, he acted as her translator. However, Putin isn’t that great with English, though he learnt bits and pieces during his time with the KGB. Putin never cared for religion, and considered himself an atheist during his younger days. But then after his wife met with an automobile accident, and there was a fire in his house, he turned his sights on God. Now, he is a devout follower of the Russian Orthodox Church. Thanks to his love for all things sports, he managed to convince F1 boss Ecclestone to bring F1 racing to Russia. Toward The Past: Top 5 Martin Scorsese movies – How many have you watched? Toward The Future: How well do you know Harry Potter creator J K Rowling?